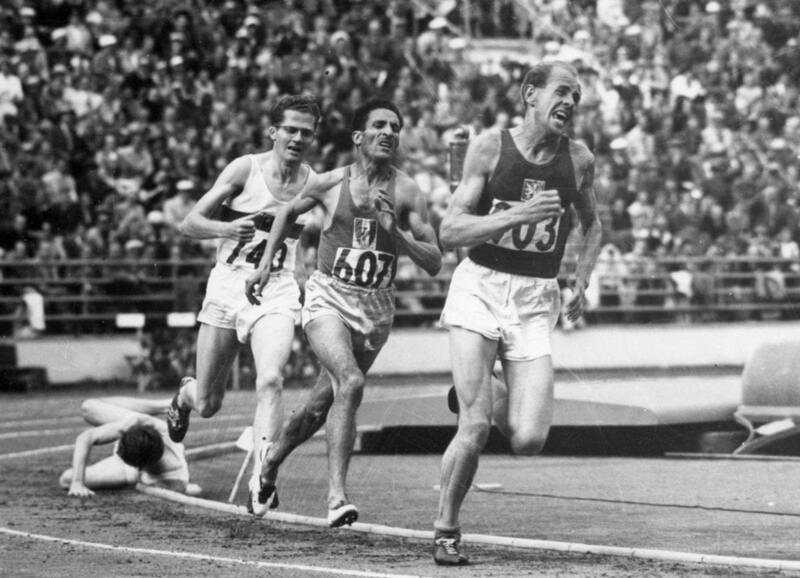 Emil Zátopek of Czechoslovakia leading the 5,000-metre final onto the final stretch on 24 July 1952. Alain Mimoun of France and Herbert Schade of Germany are still in contention, but Great Britain’s Chris Chataway has fallen to the track. Zátopek won all three long-distance races at the Helsinki Games.